Are you looking for something a little different for breakfast/brunch or lunch? 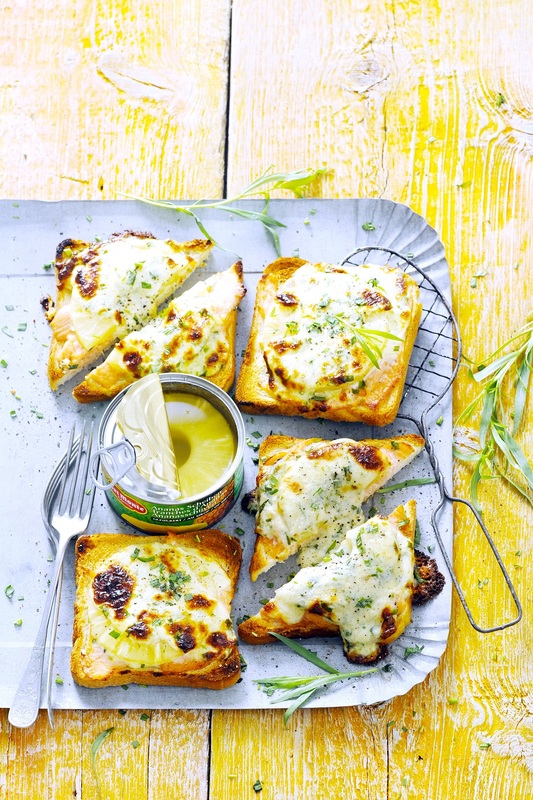 How about trying this Pineapple and Gorgonzola Toast? A few days ago on the news, it mentioned pineapple are overtaking avocados as the fastest growing fruit in the country. Del Monte – the nation’s favourite canned pineapple maker's sent me this yummy looking recipe to share and try out. Love pineapple pizza? How about trying pineapple on your toast? 1. Preheat the grill to its hottest setting. 2. Toast the sourdough and spread with a little butter. Cover with a few slices of Del Monte® pineapple. 3. Slice the cheese wedge in two or three slivers and place them over the Del Monte® pineapple. 4. Carefully place the toasts under the hot grill for a few minutes until the cheese is just bubbling and the Del Monte® pineapple are warmed through. 5. Season with salt and pepper and serve immediately. 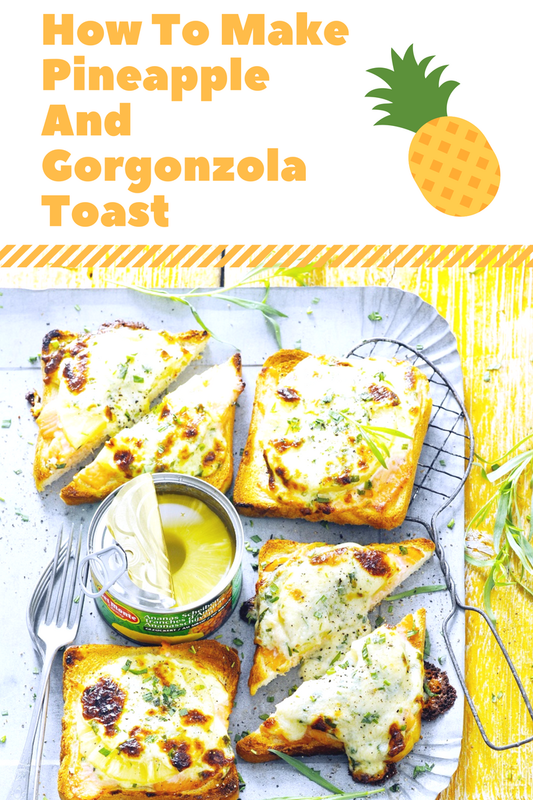 What do you think of this Pineapple And GorgonzolaToast Recipe? Are you looking for a mid-week or weekend healthy treat? Do you or your children love pizza? Are you trying to get more vegetables into your children's diet? How cool is this idea!? A great way to get the children eating up their veggies!! With Summer just around the corner, it has me thinking of picnics in the park and eating food in the garden. How To Make A Pineapple And Coconut Loaf. oh Claire - what a great idea! I never would have paired gorgonzola and pineapple, but looking at this I can taste it and I think it's amazing! Thanks for sharing at the What's for Dinner party! Hope you have a great week. Your Pineapple and Gorgonzola Toast looks delicious! Hope you are having a great weekend and thanks so much for sharing your with us at Full Plate Thursday!